Not so long ago I began a podcast and it has been slowly gaining listens. I’m going to hit the 30,000 cumulative listens mark in the next week or so. And, I have listeners all over the world (Singapore, Portugal, New Zealand). I have no idea why. Maybe they think they can learn English by listening to a fast-talking American lawyer? The cool thing is that a syndicated radio show in Australia asked me if they could download the show, edit it and play it as a regular feature down there. I kid you not. This week’s podcast is about drinking and driving. Although it is not a major part of my practice, I have seen enough cases to where I can give you the thumbnail version. Don’t do it. It will cost you dearly in time, money and inconvenience. I know there are all kinds of moral arguments against it but I figure I’ll go with the practical argument here. Give it a listen and heed the advice. And the pic at the top? 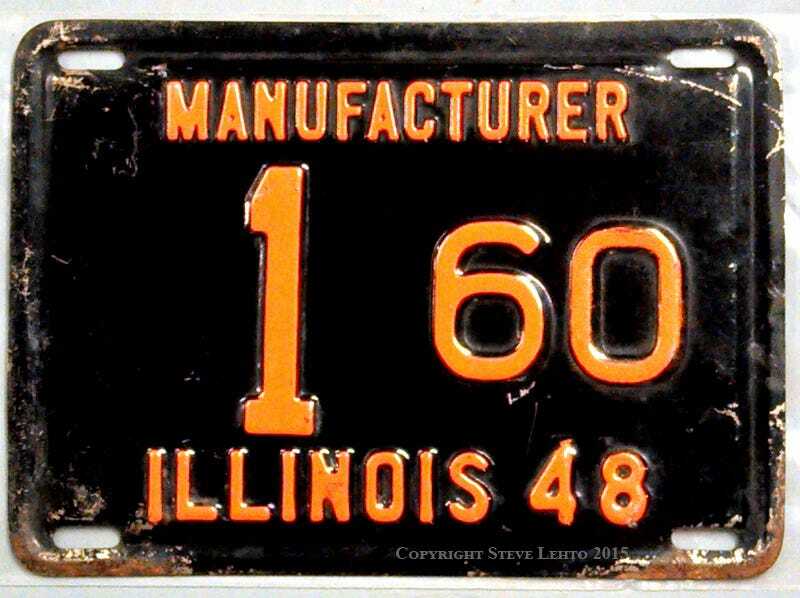 A manufacturer plate from Illinois. Pray tell, what manufacturer could possibly have been building cars in Illinois in 1948?